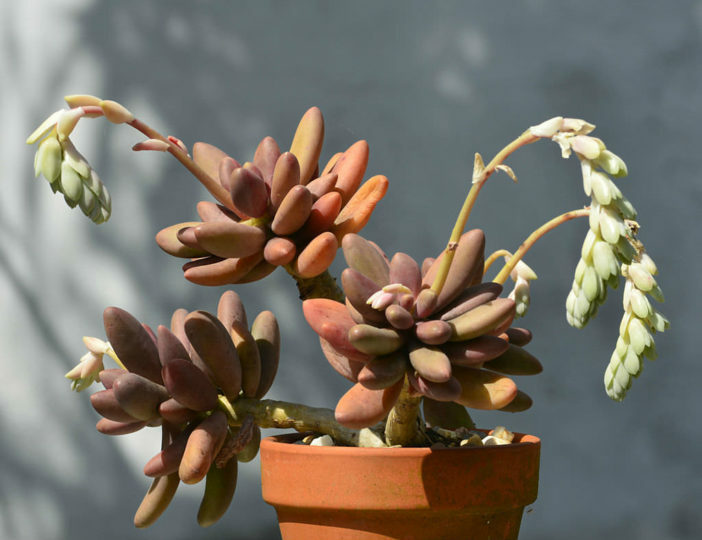 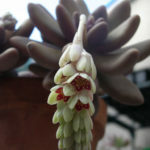 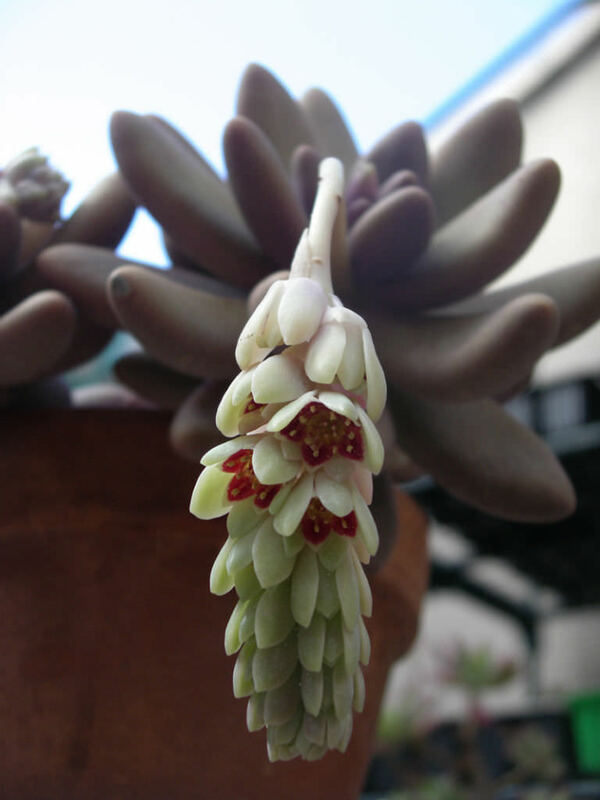 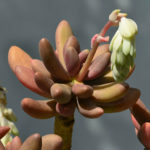 Pachyphytum ‘Captain Jessop’ is an evergreen, perennial, succulent plant with descending or hanging stems. 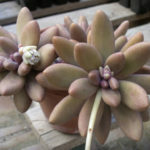 The leaves are dark green to violet-red, up to 4 inches (10 cm) long and arranged in rosettes. 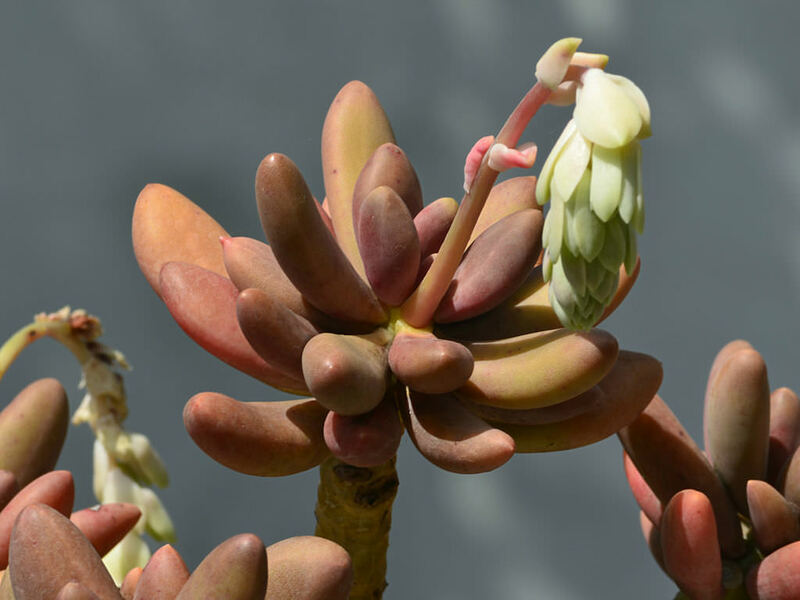 The flowers have red-orange petals surrounded by fleshy, greenish-white sepals. 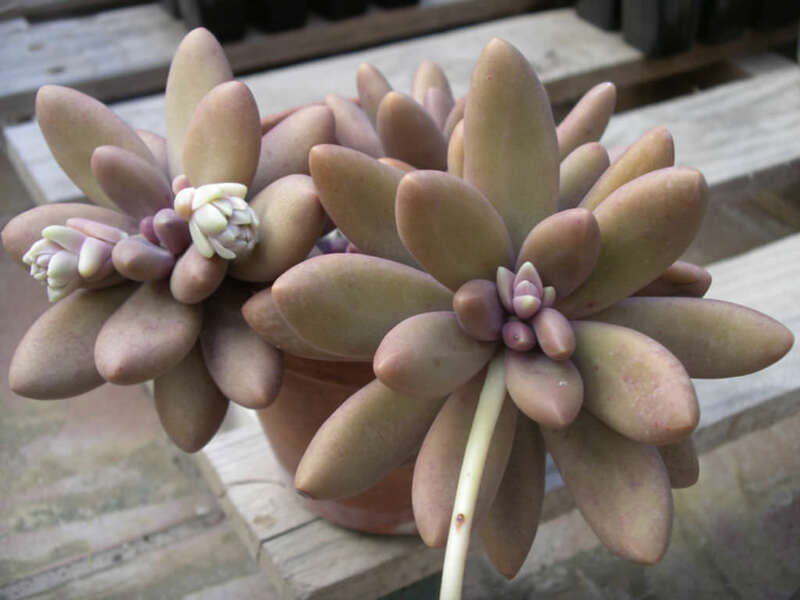 Pachyphytum ‘Captain Jessop’ is a hybrid between Pachyphytum bracteosum and Pachyphytum viride.